This information is about safer eating after a kidney transplant. It will help you and your child reduce his or her risk of illness from the food he or she eats. After your child’s kidney transplant, he or she needs to take medicines, called immunosuppressants. These reduce the risk of his or her new kidney being rejected, but they also weaken the body’s resistance to infection. Your child has a greater risk of getting ill from germs, such as bacteria. Check with your dietitian before giving any health products that have not been prescribed to your child by his or her doctor. These include vitamin supplements, herbal remedies or probiotics. Remember that your child may need to avoid certain foods when taking some of their medicines. Check the medicine’s labels. Leaflets about many children’s medicines are available on Medicines for Children: information for parents and carers. After your child’s kidney transplant, he or she will probably have a larger appetite and be able to eat a wider variety of foods. When your child is ready, their dietitian will give you more information about healthy eating. Wash hands. You and your child should wash your hands thoroughly in warm, soapy water before and after handling food. Keep the kitchen clean. Wash all work surfaces, cutting boards and utensils in hot, soapy water after use. Wash chopping boards and knives between preparing raw food and cooked food. Keep pets away from the kitchen and your child’s food. Keep canned food and drinks clean. Wash the outside of cans with hot, soapy water before using them. Prepare and store raw and cooked food separately. Keep uncooked meat and fish at the bottom of the fridge. Cover refrigerated food. Check fridge and freezer temperatures. A fridge thermometer is useful. Fridge temperatures should be 5°C or lower. Freezer temperatures should be set below –18°C. Check ‘use by’ dates. Use food, including frozen food, within the recommended time. Cook food well. Always follow the cooking instructions carefully. Meat, poultry and fish should be thoroughly cooked through to the centre. Take care with large joints of meat. Take care with microwave use. When cooking with a microwave, make sure the food is thoroughly cooked and piping hot throughout the dish. Take chilled and frozen food home quickly. Put it in the fridge or freezer straight away. Defrost food thoroughly and never re-freeze once thawed. Keep eggs in the fridge. Make sure the egg shells are clean, to prevent food contamination. Keep cold food cold and hot food hot. Do not leave it standing around. If in doubt, throw it out! Make sure your child only eats food that is in good condition. He or she should not eat food that is bruised, stale or mouldy. Avoid food in damaged packets or cans. Be careful with takeaway food and eating out in restaurants, cafes and fast-food places. Choose food for your child that is cooked to order and cooked thoroughly. Avoid food that has been kept hot in a heated cabinet. Salad bars and delicatessens – avoid giving your child salad or raw vegetables and fruits from salad bars or delicatessens. 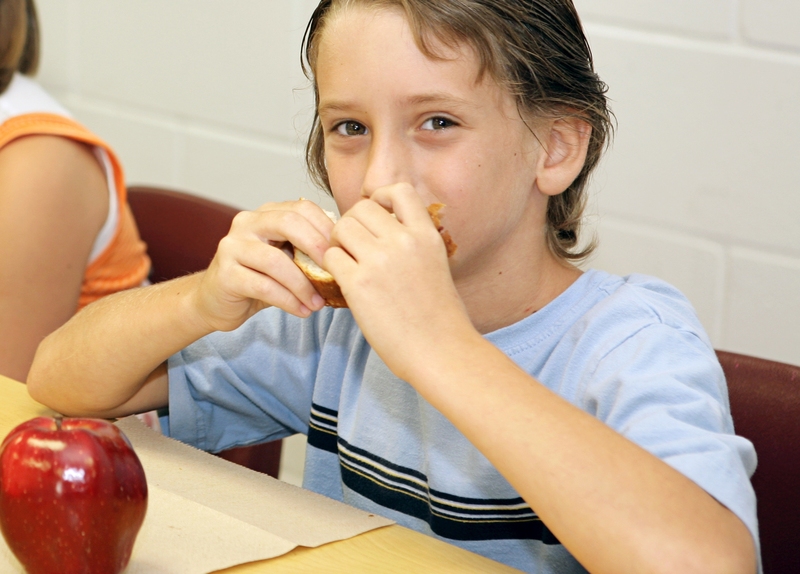 Leftover food – avoid giving your child leftover food from another meal. Do not re-heat food once it has been heated. Try to avoid giving your child the foods listed below. If you have any questions, speak with your child's renal team. Unpasteurised milk and foods made from unpasteurised milk, like cheese and yoghurt. Pasteurised milk and milk products are fine as long as you use them according to the manufacturer’s instructions. Cheese containing moulds (often with blue or green bits), for example, Stilton. Unpasteurised cheeses such as Brie, Camembert and feta. Also avoid using products containing these foods, such as salad dressings and dips. Uncooked or undercooked eggs and any products containing them, for example, soft-fried eggs, egg-nog drink, meringue, unpasteurised mayonnaise, and lemon curd made with raw egg. Cakes containing cream fillings that may not have been stored at the correct temperature, for example from the bakery. Pasteurised cream stored correctly is fine to use. Soft ice-cream from mobile vans. Raw or undercooked meat, poultry and fish. Cold meat from delicatessens, and cold meat dishes, for example, chicken salad. If your child wants to eat cold meat, it is best to buy vacuum-packed meats. Tinned meats such as corned beef and ham are fine. Shellfish, such as prawns or shrimp, crayfish, crab, squid, clams and mussels. Unwashed raw fruits and damaged fruits. Unwashed raw vegetables and unwashed salads – wash thoroughly and re-wash any shop-prepared salads if possible. Salad from salad bars or delicatessens. Uncooked dried fruits and nuts. Only give your child dried fruits and nuts if they are in cooked products. Unpasteurised honey. Most honey that you can buy in a supermarket is pasteurised and safe. If you buy honey from a farm shop, check the label first. This topic was co-authored by Sarah Trace, funded by the BKPA.